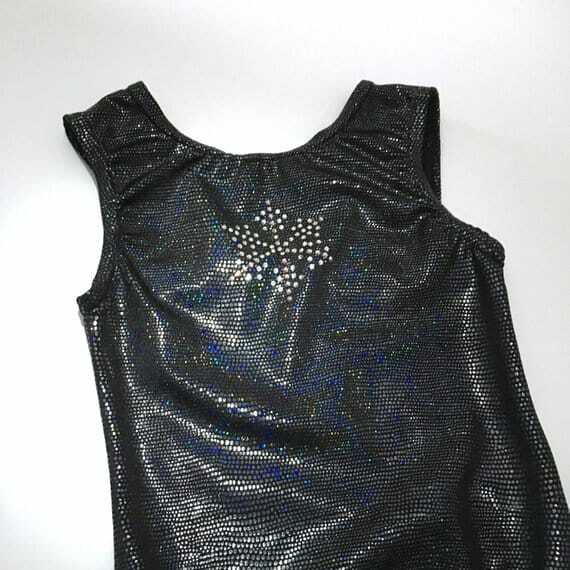 Girls gymnastics training leotard in striking black dazzle fabric with snowflake rhinestones. Composition 80% Nylon 20% Lycra (with foil effect & rhinestones). Available in sizes 24-32, see size chart at point of purchase. Made to order, allow up to 7 working days for delivery. Please check size chart at point of purchase before ordering.